I have lived here for the past 2 years and just resigned for an additional year. no complaints! friendly staff, pets are welcome, and Maintenance is great! At first I hated it here and we were going through too many management teams But like they same 3rd time Is a charm! Best team we have had and they have cleaned up a lot. Staff is always super energetic and willing to help. At first when I signed here I thought value was good but often with utilities I feel I pay too much. Also I’m in a “renovated” unit but they aren’t much different than any other unit. Have had a lot of maintenance issues and some continually. I really enjoy the size of my room it’s very spacious and I like the black appliances. It’s a good space for 2 people. When I first moved in there was a couple of problems with the unit but maintenance helped fix it. Amy, We love having you here!! Thank you so much for choosing us as your home. For feedback of any kind you can contact the management office at 512-649-4046. Our management office is open M-F 9-6. Austin, Thank you for choosing us as your home and for taking the time to share your opinion with our future residents! You may contact our management office directly at 512-649-4046 M-F 9-6 We cant wait to have you another year! My time as a resident has been decent. At first, during fall semester of 2018, the management and the maintenance was a complete mess. My room was missing several items (desk, shower rod, desk chair) and it took all the way up to the last month of the semester to receive them. Also they werent communicative at all and would never host any community events. Fortunately, the new management and maintenance we got during spring 2019 is excellent. They have had several community events, my favorite being the crawfish event. Along with timely notifications and updates on what is going on around the community. They seem to be making infrastructure changes and have fixed quite a few things in my apartment when requested. I love the new management and am thankful for it because I was regretting leasing here during the fall semester. A tip of advice is to please close the front gates during the night, or at least more often because i live in the first building and would hate for something to happen to a car or our apartments. thank you. I absolutely love living here! Gabbi and her team have done an amazing job! They keep all their promises and they are very upfront and honest! They are caring and nice! They make the lodge fun and more of a community! I have lived here for several years and I would recommend it to anyone! Very nice apartment, the renovations were really needed. It’s quiet and I’ve never had any problems with the maintenance or staff. I would recommend this place to my friends. Living at the lodge has been a mostly positive experience. The staff and maintenance have been helpful and prompt with all requests or questions. Now that we have a new management. Things are much better. Staff is super friendly and cares about residents. They have gone out of their way to fix anything that is wrong with my apartment. Everyone is very pleasant and helpful. The office would be my only complaint because when me and my roommate moved in we felt very pushed off and that our multitude of problems wasn’t even on their radar but I I understood they have a full plate once they communicated that to us. Since first month I have had no issues. Thank you for leaving this review! We are proud to announce we are new management. If there is anything you ever need please contact us at 512-649-4046. The staff has a great spirit and love to help the residents needs. The facilities and grounds are always clean. Living here is a great experience. Renovations made the apartment look nice. Work orders are processed really fast and even done on the same day. Pool is nice and people at the office are nice as well. The lodge is amazing. The interiors were upgraded unexpectedly and even with changes in management the staff is amazing and kind to the residents here. We enjoy having you here. We have been actively working on making improvements for our residents and are happy to see that they're being noticed. We appreciate you taking the time to give us positive feedback and we look forward to many more good experiences. If you ever need to contact us you can do so directly at 512.649.4046 or community email lodgesanmarcos@assetliving.com. Our management office is open M-F 9-6. I have been living here for e yeara abd i am satisfied. The community is quiet, staff are friendly and quick to assist. I love it here. In fact, i renewed my lease for another year! The Lodge is a nice place to stay and it’s the first stop on the bus! Very nice staff and great new maintenance. Only 10 minute ride to campus and it’s extremely convenient! Prevois Management was poor but it seems to be getting better! Renovations are being done the pool is being fixed and the new people at the office are super nice. I’ve lived here for almost 2 semesters and thus far it’s been great. Maintenance is great and responds fast to work orders. I would definitely release. The staff here are amazing and have been super helpful. The apartment is nice and comes with really good appliances in the kitchen. The pool is really nice for hot days too. I love the staff at The Lodge because they are so friendly and ready to help as soon as you walk through the door! Maintenance requests get done fast and the previews are awesome! We are so proud of The Lodge and thrilled that you love living here! Thank you for the GREAT review! If you need anything, please feel free to contact us! Our management office is open M-F 9-6. Call 512.649.4046 or email community email lodgesanmarcos@assetliving.com We’re here for you! 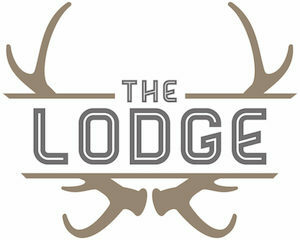 The lodge is in process of remodeling, can’t wait to see the outcome. Great staff! Good location. Need a closer bus route, but overall, satisfied! We love having you here!! Thank you so much for choosing us as your home. We can not wait for our renovations to be complete either! For feedback of any kind you can contact the management office at 512.649.4046 or email us at community email lodgesanmarcos@assetliving.com. Our management office is open M-F 9-6.